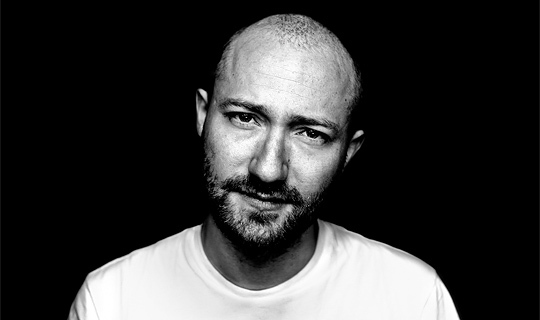 In the techno scene, Paul Kalkbrenner is a superstar. He’s talented, ambitious and super successful with his feet firmly on the ground and a playful desire to experiment. Rooted in his hometown of Berlin, Germany, Paul is a unique international talent – happy to rave with the best of them but renowned for a deeper musical mood. Paul Kalkbrenner’s demanding compositions are full of energy tempered by moments of quiet. They exist in the here and now, to take listeners away from their everyday, from the weekly grind, into rapture – where there is also art, ecstasy, absurdity, friendship, hope and love. When techno first broke out, following the fall of the Berlin Wall in 1989, Paul was twelve. He watched as East Berlin became a kind of anarchic playground for a generation that had been oppressed most of their lives – these young citizens had been freed from an overbearing state and techno became their way of expression. In the autumn of 1992, together with his friend Sascha Funke, Paul started to DJ, they played their first gigs at local youth clubs, where other hoodie-clad kids their age were hanging out playing pool. The clubs were open until midnight but Paul was out of there earlier – his mother expected him home by 11:30. Paul and Sascha were either DJ’ing or obsessively collecting records as electronic dance music’s first tidal wave spilled over dance floors in Berlin’s legendary clubs, Tresor, Planet, Walfisch and E-Work. Following a meeting with Ellen Alien, Paul’s first tracks were released on the newly founded BPitch Control label in 1999. Paul was almost too shy to use his real name: the first hit, Friedrichshain, was by “Paul dB+”. In contrast to the darker, monotone sounds that characterized techno at the time, Paul’s music was all about a more melodic, non-stop party. After a number of 12” singles, Paul realised he was better suited to producing albums and in 2000, he released Superimpose, followed by Zeit in 2001 Local music press were complimentary and began to write about him, soon he was getting regular bookings for gigs throughout Germany. Paul released his third album, Self in 2004. Self featured emotional tunes that resonated beyond the dance floor and existed outside of the party scene, an almost cinematic ride introducing new ideas and emotions. At the time the punk-ish sound of electroclash was dominating the dance scene, Self was deemed a particularly strong statement of creative independence. As minimal techno hit the big time, Paul countered with the melodramatic rave hit, Gebrünn Gebrünn. The track crossed over, becoming a major hit with all kinds of music fans and catapulting Paul into a new league. In 2004 Berlin-based film director, Hannes Stoehr got in touch with Paul. A self-confessed Kalkbrenner fan, Stoehr wanted to make a movie about an electronic musician in Berlin’s techno scene around 2000. And he wanted Paul to produce the movie’s soundtrack. After many meetings it became clear Paul would have mor to offer than just his music. As the script for the film developed, Hannes suggested Paul might well be perfect in the starring role. But there was also the film’s soundtrack to take care of. To do this, Paul and his old friend Sascha Funke moved to Aix en Provence in the south of France for six months. There, far from Berlin’s dreary winter, Paul came up with some of his most diverse and mature compositions yet. The richness of the sound, and the variety of emotional nuance, went far beyond what one normally expects from electronic dance music. Following a successful premier at the Locarno film festival in Switzerland, Berlin Calling kept drawing audiences, playing in cinemas around Europe and staying on the big screen at Berlin’s Central Kino for several years. The soundtrack and a single went on to break sales records, with the soundtrack going platinum in March 2012 thanks to sales of more than 200,000 and the single, Sky and Sand, spending 121 weeks in the singles charts. Since the German singles charts started in 1977, no other track has managed this. At the end of 2009, Paul split with his long time label, BPitch Control. His success as an independent musician had made him want to interact more directly with his fans and he felt that he would be able to release his own music and organise his own shows without a middleman. As he puts it: “at a certain age, a man seeks to take responsibility for himself”. A sold out European tour, during which more than 100,000 came to hear him, shortly after his decision to leave BPitch, seemed proof enough of that theory. A documentary followed, made with help of the Berlin Calling team, Max Penzel and Hannes Stoehr. 2010 – A Live Documentary featured an 8-camera shoot of 15 concerts, with computer graphics created by Pfadfinderei (who also worked on Berlin Calling). The documentary was an intimate insight into Paul’s life on the road, and it’s sprinkled with Paul’s dry, deadpan humour, the kind Berliners are famous for. In June 2011, Paul released his fifth album, Icke Wieder on his own label, Paul Kalkbrenner Music. On this album, Paul took the depth and the dreamy qualities from Self and brought them back to the dance floor. With over 100,000 CDs sold, Icke Wieder went gold while the tour that followed saw 125,000 fans attend Paul’s shows. 18 months later, Paul released his next album, Guten Tag. The 17 tracks on this album – the title means “good day” in German – brought together a lot of the diverse aspects of the music Paul has made up until now, in one place. Which makes those tunes, with their echoes of past creations and compositions, some of the most perfect for Paul personally. The two self-released albums, Icke Wieder and Guten Tag, have gone on to be Paul’s bestselling albums yet – both went top five in his native Germany, with Guten Tag going to Number 1 in Switzerland as well. And they were followed up with an album of remixes.